It costs FareShare just 75 cents to cook a nutritious meal for someone in need. Every meal makes a difference and every donation means more meals. There are lots of fun ways to raise funds for FareShare. You could walk, run or ride for meals, hold your own event or take part in one of ours. Our kitchen is always hungry for certain ingredients which are hard to rescue. We rely on community support to keep us stocked with pasta, rice and other staples. FareShare is a community powered by volunteers. We depend upon volunteers to cook, grow and deliver food, and to help in our warehouse, office and on special projects. We rely on donations of surplus food from supermarkets, wholesalers, farmers, manufacturers, importers and other food businesses. Our chefs safely cook this into 27,000 meals a week. FareShare offers a unique and meaningful team-building experience cooking meals for people in need. We also offer businesses volunteering shifts in our kitchen gardens. FareShare's Schools in the Kitchen program empowers students to act on the pressing issues of food poverty and food waste while getting an early taste of volunteering. 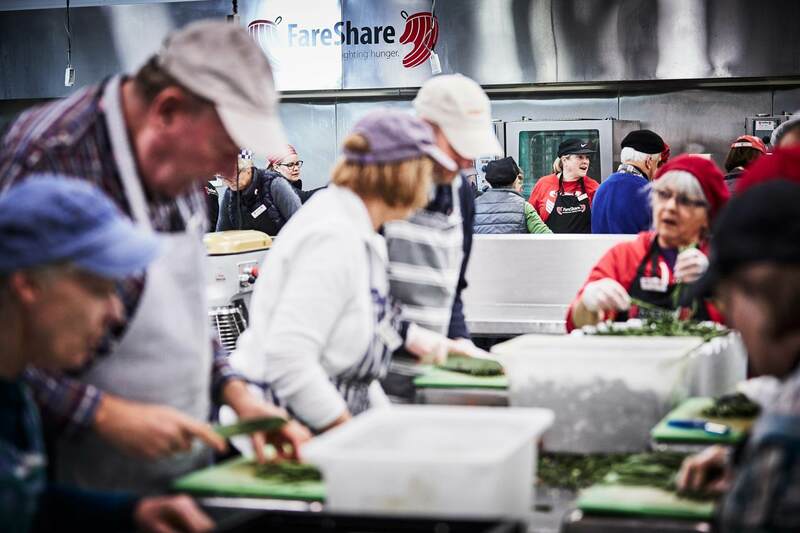 FareShare’s purpose-built kitchen in Abbotsford was designed to cook meals at scale using a volunteer workforce supervised by experienced chefs. It produces two types of meals. One kitchen cooks nutritious ready- to-eat meals such as casseroles, curries, braises and soups. The other focuses on savoury pastries such as quiches, sausages rolls and egg and bacon pies. FareShare grows vegetables at three kitchen gardens to add nutrition to our meals. 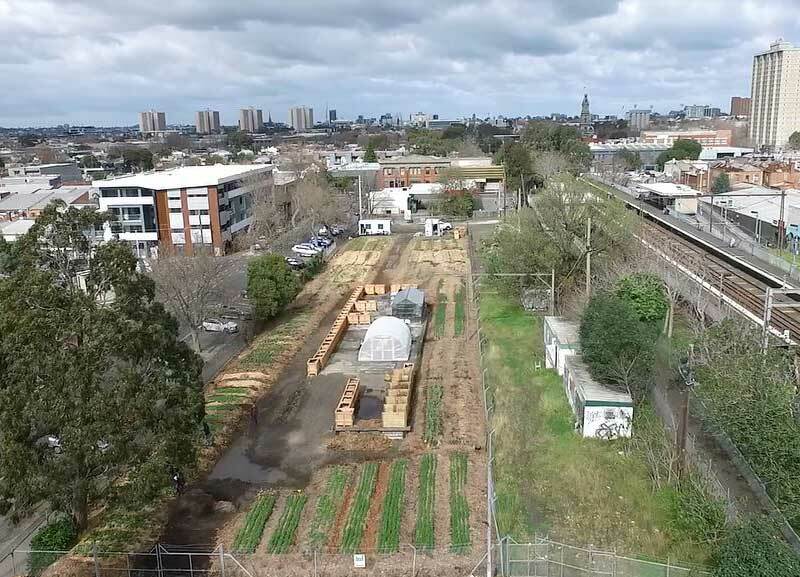 These are located on a piece of disused land alongside Victoria Park railway station in Abbotsford, at Moorabbin Airport and on a family farm in Clayton South. All three kitchen gardens are tended by volunteers under the supervision of a horticulturalist. Crops grown include zucchini, eggplant, carrot, pumpkin, sweet potato and leek. 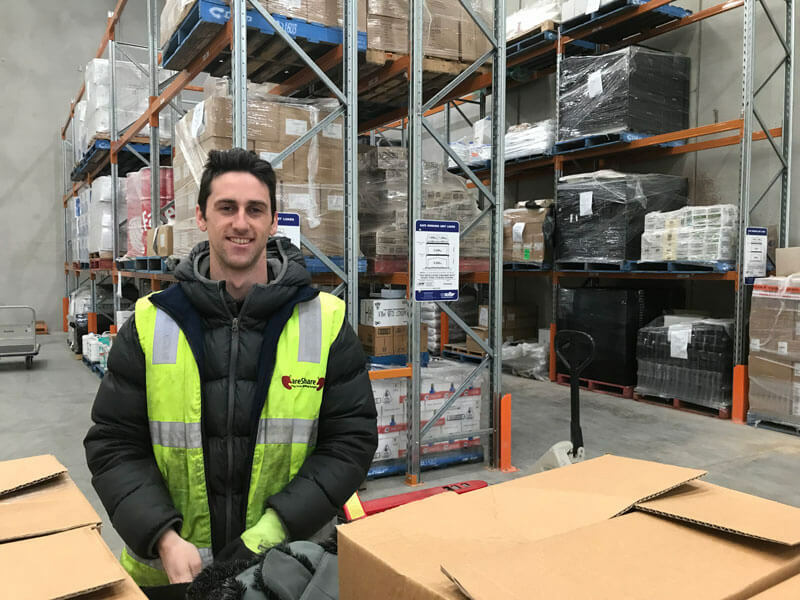 FareShare recently began operations at a new warehouse located in Derrimut. Positioned close to the major food distribution centres in Melbourne’s outer West, the new facility enables FareShare to rescue, store and prepare food in bulk. The premises includes 90 pallets of freezer capacity, a food preparation room and extensive pallet racking for staples.